Students will be able to identify grade level sight words. 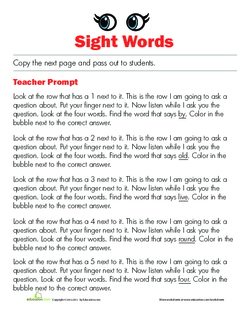 Distribute copies of the sight word list. 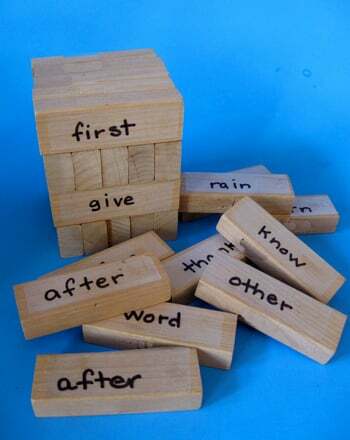 Review the words with the students, allowing them to read words with you if they know them. After reading the list, explain to the students that they are going to be the teacher for this activity. 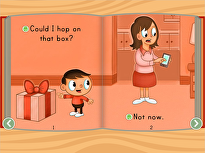 Explain to the students that each child will take turns with a partner to practise their sight words. Pick a student from the class to help you model this activity. Play the teacher to show the class how to act as the teacher. Hold a highlighter and a copy of the sight word list. Sit with the student and tell him that you are going to practise his words with him. As the student reads the words, highlight the words he pronounces correctly. Explain this to the students, then switch roles with the student to show how to be the student for the activity. Allow them to ask you questions if they are unsure of what exactly to do. Give each student a number: 1 or 2. 1s will be teachers first. Have students start the activity. 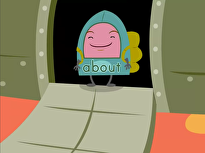 Walk around the classroom and make sure the students are following the directions and doing the activity correctly. Allot enough time for both sides to be the teacher. Enrichment:Students who complete their quizzes early can make their own sight word lists on the backs of their sheets. Support:Pair struggling students with more advanced students for Independent Working Time. This will allow them to receive assistance from their partners if needed. 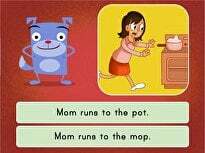 Have students complete the Sight Word quiz. Collect students' quizzes once they finish. 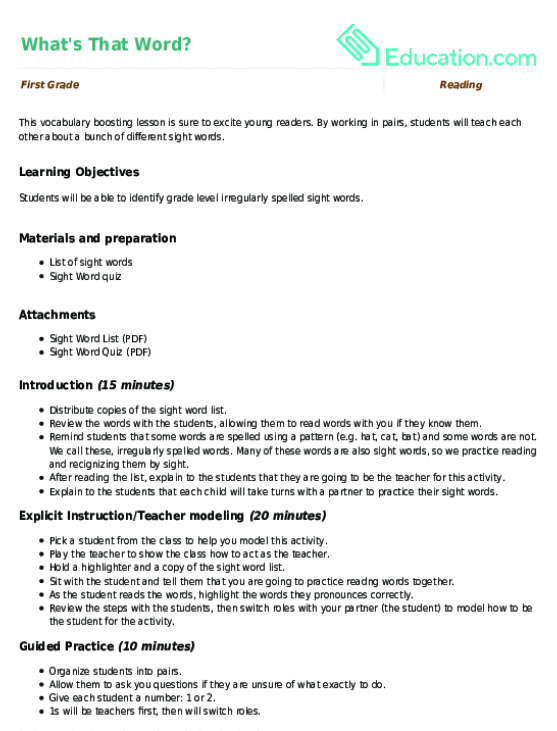 Review the quizzes later to assess students' understanding of the lesson content. 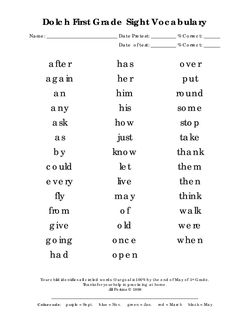 Go back and review the sight word list with the students. Your child will have a blast hunting for all the words in this under-the-sea word search puzzle.